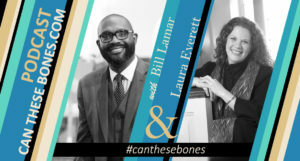 Associated Church Press member Faith & Leadership has launched a new podcast called “Can These Bones.” The podcast seeks to engage a variety of people from inside and outside the church in conversations that breathe life into leaders struggling in their own valley of dry bones. Co-hosts the Rev. Laura Everett, executive director of the Massachusetts Council of Churches, and the Rev. Bill Lamar, pastor of Metropolitan AME in Washington, D.C., use the platform to interview guests with a fresh set of questions about leadership and the future of the church. The first six of 12 episodes are now available on iTunes, Google Play, Stitcher and other platforms, including the Faith & Leadership website. The premiere episode features a conversation with the Rev. 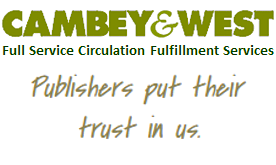 Amy Butler of The Riverside Church in the City of New York. Other episodes explore conversations with Astead Herndon of the Boston Globe; Albert Reyes of Buckner International; Gideon Tsang of Vox Veniae in Austin, Texas; Kate Bowler of Duke Divinity School; and Almeda Wright of Yale Divinity School. Faith & Leadership is the online magazine of Leadership Education at Duke Divinity, which designs educational services, develops intellectual resources, and facilitates networks of institutions.